After months of sweltering conditions, we finally feel a tempering in the weather and a swell in music festivals. You know what I mean, dirty feet, mosquito bites, stringed instruments like you’ve never seen before, 11 part harmonies, smoke for days and memories. A whole lot of local players will be giving their all on these stages. River Ranch Music Festival 8/17-19, Snelling River Music Festival 8/18, and the Strawberry Music Festival-Fall 8/30-9/3 will satiate your music/campout/tailgate/party hankering. Sunday Breakfast Music at DEVA has a GIANT lineup of favorites packed into August, reservations are suggested. 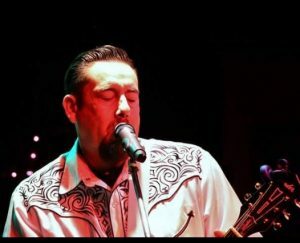 House Hosts Tim and Patty 8/5, One Man Band Nathan Ignacio 8/12, the long-awaited return of Doug Robinett, Marirose and Patty Castillo Davis in a combined collaboration 8/19 and favorite chanteuse Mattea Overstreet on 8/26. Friday, August 17 Rubber Lizard will hold a show at Deva with The Cazadores. Doors 7 pm and showtime is 8 pm. This is an all ages show with a $5 gate fee. The Third Thursday Artwalk venues host music for every taste. August 16, the Modesto View stage at 11th and J will feature US4Love, fresh from their cd release on August 3 coinciding with their appearance at the Valley Talent Project. We send best wishes and good juju to our great friend and Songwriter Josh Rosenblum as he moves into the next phase of his career with a relocation to Southern California. The great work he has laid the foundation for will not fade away. 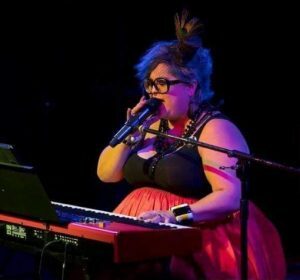 Mattea Overstreet will carry on the Wine Down Wednesdays at the Redwood Café and Jesse Tracy will host the open mic at P. Wexford’s on Mondays. The Cow Track in Oakdale brings back their open mic every other Wednesday at 8 pm with Ffej Moore at the helm as Host. The Modesto area music nonprofit DB Project, a proven and transparent organization whose mission is to help underserved youth has been painstakingly working for a year to provide shoes for students. 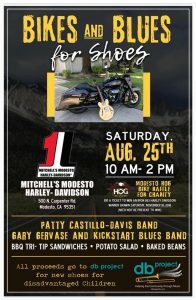 On Saturday, August 25 they will be partnering with Mitchell’s Harley Davidson to raise money to purchase shoes for back to school. The event is FREE and the BBQ meal is only $5 a plate. 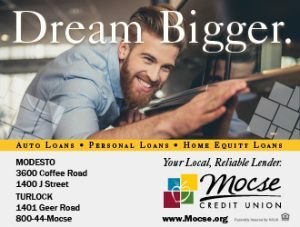 Music will be donated by The Patty Castillo Davis Band and Gary Gervase & Kickstart Blues Band with a promise of some smooth collabos and a grooving good time. The party is from 10 am to 2 pm. Db project is a 501c3 tax-exempt organization-tax ID# 81-4785136.